Leading Manufacturer of magnet plates from Surat. 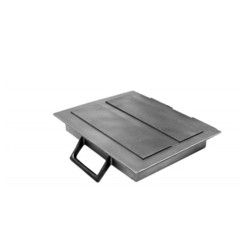 Our range of Magnet Plates is widely used for sloping chute applications; these assist in the removal of damaged metal and ferrous contaminant. These are used in several industries, some of which are food, grain, Chemicals, Plastics, Textiles, Cosmetics, mineral Pharmaceutical and cleaning highway shoulders. Magnet plates help in the segregation of ferrous metals from fibrous, viscous or liquid material. These are installed in rectangular, sloping chutes; a section of chute should be removed for installation. Looking for Magnet Plates ?